"Around the time that David and I started dating, my father passed away on November 1, 2009. He was 92 and had lived a full life, taking care of his family and participating in church activities. We miss him dearly, but towards the end he was very ill and suffering. I was thankful that after about three weeks our God spared him any further agony. There was a tender leela that happened around his deathbed. I had been practicing the Christian hymn This is my Father's World to sing for Baba's birthday. As David and I said our final prayers over my father and prepared to leave the room, the hymn, This is my Father's World rang out from the CD player in the background. This was astounding since it was a CD of about 300 random songs, and my sister, who had kept the CD player running all night, had no idea that I was practicing this hymn. 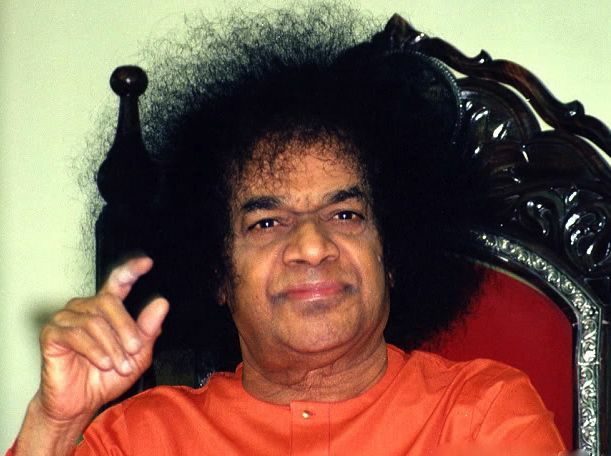 It was Baba's beautiful way of letting us know that He, the Supreme Father, was watching over Dad."